LifeProof is the latest innovation in vinyl flooring, available exclusively at The Home Depot. LifeProof Luxury Vinyl Flooring features an innovative, highly engineered closed-cell foamed vinyl core that delivers rigidity and strength, yet is lightweight and easy to handle and install. LifeProof Luxury Vinyl Flooring planks feature authentic embossing that looks and feels like real wood. Dramatic 72 in. long-length planks create less end joints in your final look, for a clean appearance and authentic, luxurious style. The simple drop-and-lock end joints make installation a breeze. A solid virgin vinyl layer enhances durability and provides exceptional embossing detail and texture while an attached underlayment minimizes sound, is shock-absorbing, and enhances warmth and comfort under foot. This flooring is both phthalate-free and formaldehyde-free to ensure product safety. LifeProof Luxury Vinyl Flooring does not require acclimation. 100% LifeProof, 0% worries. 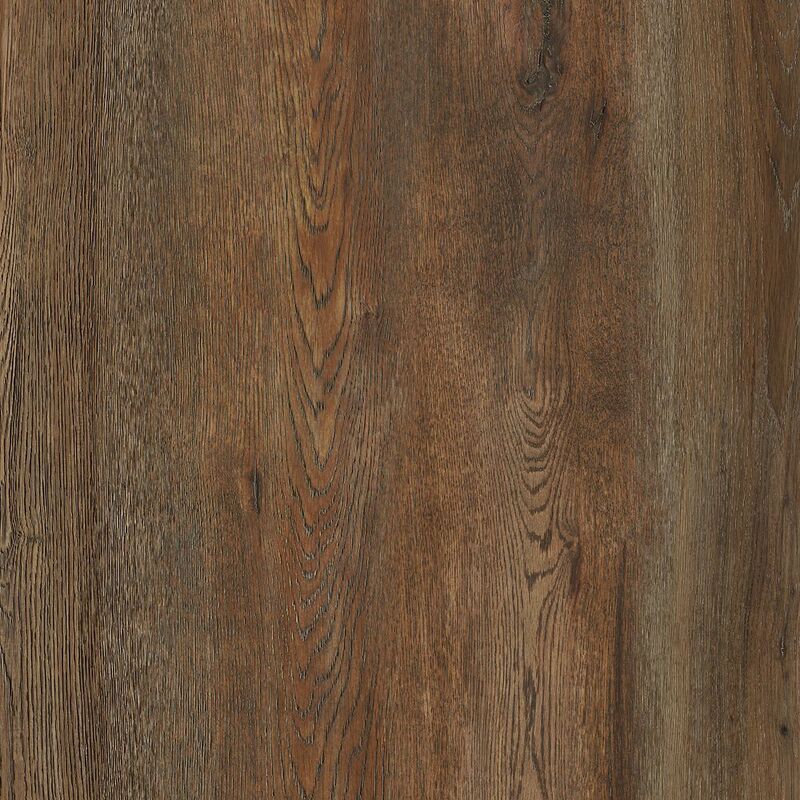 Kingsley Oak 8.7-inch x 72-inch Luxury Vinyl Plank Flooring (26 sq. ft. / case) LifeProof is the latest innovation in vinyl flooring, available exclusively at The Home Depot. LifeProof Luxury Vinyl Flooring features an innovative, highly engineered closed-cell foamed vinyl core that delivers rigidity and strength, yet is lightweight and easy to handle and install. LifeProof Luxury Vinyl Flooring planks feature authentic embossing that looks and feels like real wood. Dramatic 72 in. long-length planks create less end joints in your final look, for a clean appearance and authentic, luxurious style. The simple drop-and-lock end joints make installation a breeze. A solid virgin vinyl layer enhances durability and provides exceptional embossing detail and texture while an attached underlayment minimizes sound, is shock-absorbing, and enhances warmth and comfort under foot. This flooring is both phthalate-free and formaldehyde-free to ensure product safety. LifeProof Luxury Vinyl Flooring does not require acclimation. 100% LifeProof, 0% worries. Kingsley Oak 8.7-inch x 72-inch Luxury Vinyl Plank Flooring (26 sq. ft. / case) is rated 4.8 out of 5 by 5. Rated 5 out of 5 by Nicole from Great product We bought this product for our bedroom and loved it so much we bought more to continue on into the ensure. Rated 4 out of 5 by Howard from Simplicity is key. Great one piece (cushion, sound prod,insulated) planks easy fit together. What is the thickness of this product in mm? Thanks for your question. The product is 8 mm thick. Is the thickness the same as the original isocore xxl floor? I think it was 8mm? Trying to&nbsp;Find more of the xxl flooring for a commercial job. We&rsquo;ve installed this stuff everywhere! Why did they stop production!!? Thank you for your question- The Kingsley Oak is still available in CN. Thank you for your question. Yes the product, including wear layer, is exactly the same. Can this be installed over in floor heating? Where can I order sample?? Thank you for your question. We do not have the flooring as a sample. We are considering installing this flooring in our kitchen. I know we cannot put it under our cabinets, but is it okay to install it under the fridge and stove? Thank you for your question. Yes, this flooring can be installed under the fridge and stove. Are there any transition pieces or stair nosing available for this product through special order? Or any other vinyl stairnosing? Thank you for your question. Matching moldings are available through special order. Please visit your local Home Depot store for more information. Thank you for your question. The wear layer is 21.7 mil.